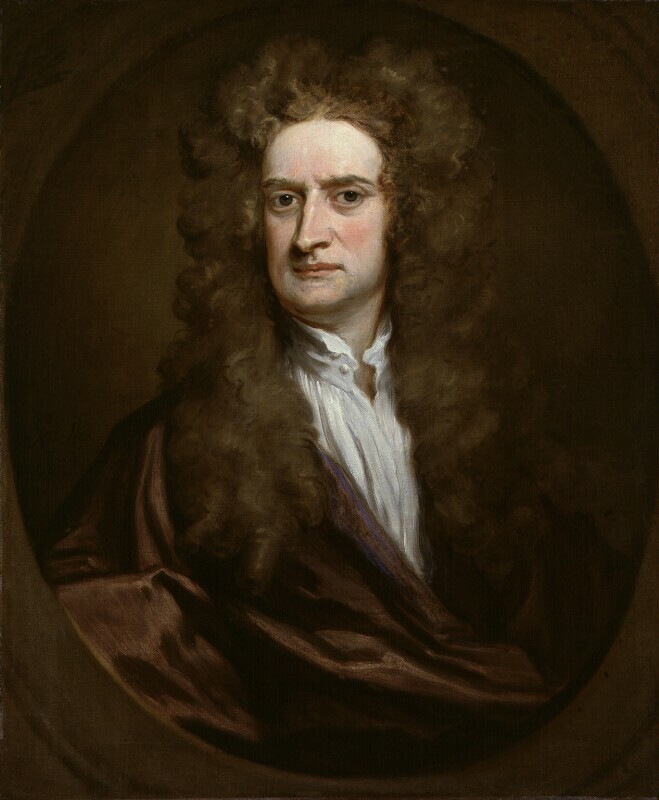 Sir Isaac Newton (1642-1727), Mathematical scientist. Sitter associated with 46 portraits. William III dies and is succeeded by Anne, his sister-in-law, the second daughter of James II and Anne Hyde. Committed to the Church of England and swayed towards Tory values, the queen would enjoy considerable popularity. The general election sweeps the Tories to power in a landslide victory. Writer, Daniel Defoe, publishes the Shortest Way with the Dissenters. The pamphlet is considered critical of the Anglican Church and Defoe is eventually arrested for seditious libel and briefly imprisoned. The Daily Courant, Britain's first daily newspaper consisting of one page with two columns, is printed by Elizabeth Mallet. Admiral George Rooke overwhelmingly defeats a French squadron escorting a Spanish silver fleet from South America, at the naval Battle of Vigo Bay. In the War of the Spanish Succession, John Churchill, Captain-General of the Forces, forces the French to withdraw from the River Maas.